Emil Edward Herman was born on December 6, 1931 in Warsaw, Poland. His parents, Paul and Sara Herman, moved soon after to Katowice, and Paul spent his early years growing up in a well-off household but encountering anti-Semitism everywhere he went. 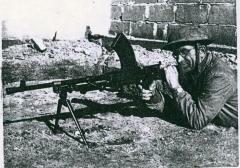 With the growing anti-Jewish laws being put into place by the Nazis, Edward’s father decided that Warsaw was a safer place than Katowice because it was further away from Germany. They moved days before the Nazis invaded Poland. Warsaw was bombed heavily during September 1939. Edward’s father left the family in Warsaw in order to travel east and join the Polish army, he was not to know that he would not see his family again for 10 years. Edward lived with his grandfather, his mother’s father, in the ghetto. His mother lived outside the ghetto with false papers stating that she was a Christian, her blond hair and blues eyes made this possible for her. She was able to obtain the papers because the family’s maid gave Edward’s mother her birth certificate. 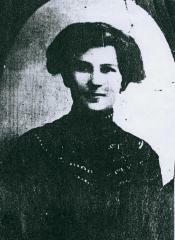 It made her able to smuggle food into the ghetto, and also made it possible for her to have Edward smuggled out of the Warsaw ghetto in the early summer of 1942, just before the mass deportations to Treblinka began. 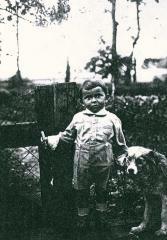 Edward’s mother placed him in the care of a Christian family in the town of Nowy Wisnics while she moved to Krakow. Shortly after, it was announced that all Jews were to report to the public square and even though Edward had papers stating he was a Christian, all anyone had to do was to require him to prove it and his circumcision would have given him away. 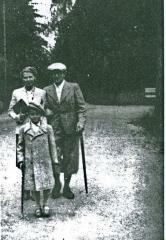 Edward’s mother sent a man named Mr. Gajewski, a non-Jew, to pick up Edward and bring him to her in Krakow. They could not remain together long since he had dark hair and eyes and looked Jewish in comparison to her. Another family was found in the town of Dzialoszyce to hide Edward but once again the Nazis announced that all Jews were to report to the town square and that anyone caught hiding Jews would be shot. 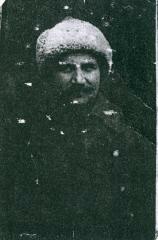 Mr. Gajewski, who had saved Edward from being rounded up in Nowy Wisnics, had a brother in Dzialoszyce who was a fireman, who managed to get Edward out to the train station where he was met by his aunt (who also had managed to get legitimate papers stating she was a Christian) who took him to his mother outside of Krakow. Edward, now 11 years old, was smuggled out of Poland with three men (all coordinated by his mother) to Hungary through Slovakia. 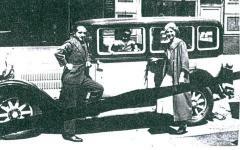 While the group was jailed in Slovakia, the local Jewish community there paid their bail and they were able to continue on to Budapest. The man entrusted with his care got him safely to Budapest but then sent him with another boy to a coffee shop where Polish refugees spent time and the other boy left him there to fend for himself. Edward was lucky that a Mrs. Schweitzer found him and took care of him and other Polish refugee children in regards to food and some money. Edward and the other children moved from place to place as they searched for somewhere safe to sleep. 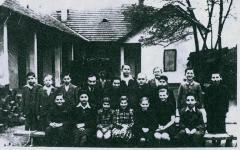 The Budapest community established an orphanage towards the end of 1943 and Edward was one of the children there from the start. In March of 1944, the Germans invaded Hungary and the orphanage was at risk of having all the children deported. False documents were provided, and both the director and the priest on staff worked hard to protect the children in their care. Eventually, Edward met up with his aunt and uncle and the three went to a place called Kiskoros where his uncle got a job at a mill. They were liberated in November of 1944. Later on, the three ended up in a city called Oradea in Romania. It was here that Edward’s mother found them. Edward and his mother soon found out that his father had moved to Palestine and had gotten remarried. They contacted him and he divorced his new wife, and left Edward’s half-brother with her. 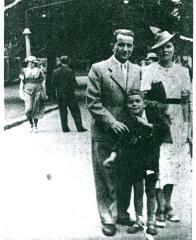 Edward and his mother were able to go to Israel in 1949 where Edward remained for two years in the army. 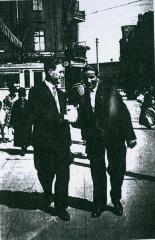 In 1952, he left Israel and went to Canada where he studied economics at McGill University. In 1961 he met his wife Helena and the two had two children, Diane and Robert. In 1966, Edward was offered a job at the University of Cincinnati in the Economics department which he took. Edward remained at UC until his retirement.